At Right To Ride, we have been reporting extensively on the European Commission Motorcycle Regulation proposal, (aka the Approval and market surveillance of two – or three-wheel vehicles and quadricycles) as it winds its way through the European Parliamentary procedures. 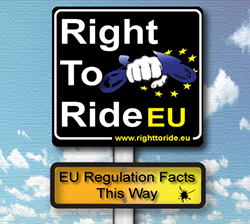 Our reporting has been through the Right To Ride EU website and using the Right To Ride EU social network page on Face Book. However we now feel that it is the time for a separate Facebook page to focus specifically on the proposed regulation as it draws to an end as common positions between the Commission, Council and Parliament are agreed. The presentation to the European Parliament in a First Reading is expected in October 2012. 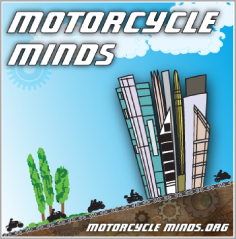 Why a separate – EU Proposal on Motorcycle Regulations – page? 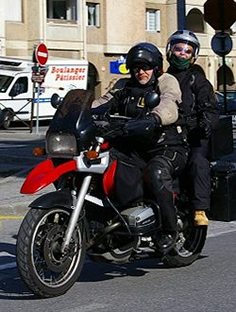 The Facebook page is set up to provide dedicated information away from our normal Right To Ride pages and its purpose is to provide updates as we receive them from the stakeholders in Brussels so that riders can make up their own minds on the impact that these proposals may have on motorcycling. We will provide the basis for discussions, including issues such as mandatory ABS, AHO, durability testing, emissions labelling, emission standards as well as the contentious anti-tampering measures (which appear to have been widely misunderstood). We welcome those wishing to express their views and concerns in a rational and reasoned manner. No hysteria, no strident abuse and no evangelistic fever or versions of a motorcycling Monty Python or Mel Brooks – Spanish Inquisition! But most important – no snake oil will be sold on this Facebook page. So feel free to like the page and start posting your thoughts and comments on the proposal (with the proviso that if the comments are offensive, repetitive or abusive, they will be removed)! This page has now been taken down.